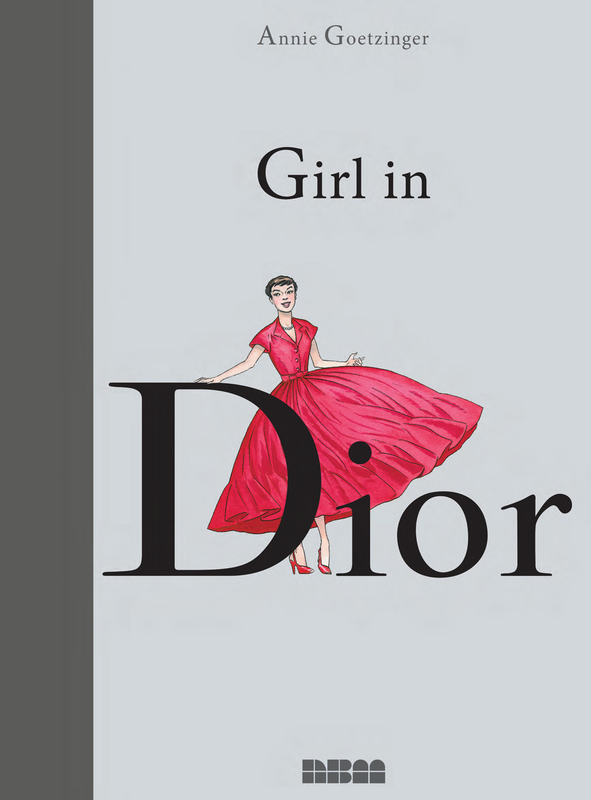 This book tells the story of the Dior fashion house through the eyes of a fictional journalist turned model. 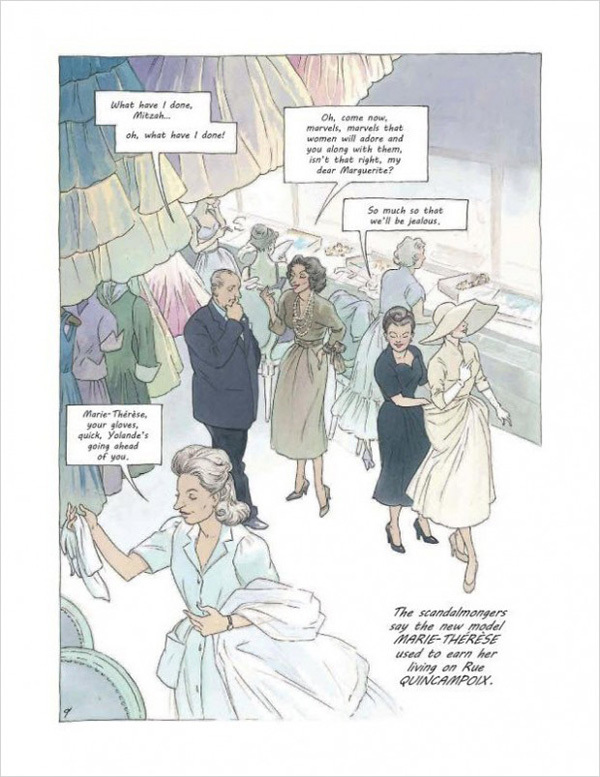 We meet Dior's four 'darlings' - the seamstress, secretary, muse, and fashion socialite (my terms). We are shown Dior's first show, the public's reaction, how Dior worked to develop his designs and how the rest of the house worked. We end with Dior's death in 1957. The back of the book is a lovely little mine of information. It lists his 22 collections, gives a brief description of his entourage (Humphrey Bogart! Lauren Bacall! Marlene Dietrich! ), has a short glossary of job roles in the fashion industry, fabrics and accessories, and gives a bibliography. The art, oh the art. Oh beautiful beautiful book, it was a pleasure to read you. Your layouts and your colours are mouth-wateringly beautiful. Your style is that of fashion sketches and I can feel the women gliding through the pages. It's glamorous and soft and haughty and high class. It feels magical - it takes you away from dreary everyday life to a world built around aesthetics. It made me feel free and light and without a care in the world. Sometimes we just need to escape; we can do that through many mediums - through books, through telly, through board games, or through fashion. When you mess about with clothes and fashion and dressing yourself up, or down, each day, when you play with makeup, when you change your style and when you experiment with clothes and try new things you can be escaping the dullness of everyday life. The best fashion makes us feel creative, feel beautiful (whatever beautiful may mean to you) and it brightens up our day. This book also provides that escape. This book is also available on the kindle, but I would really recommend reading it in paper form. Its weight and its cover, and the texture of the pages all add to the experience, helping you drink it in.